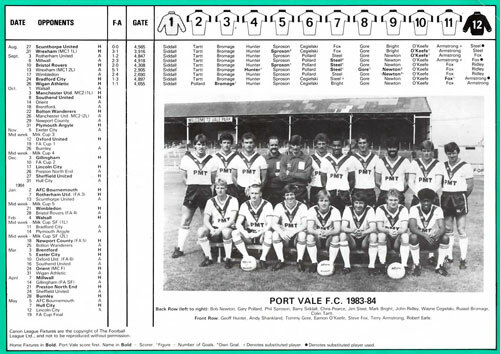 We take a look at an 1983/1984 Port Vale home programme for a League Cup clash against Manchester United. 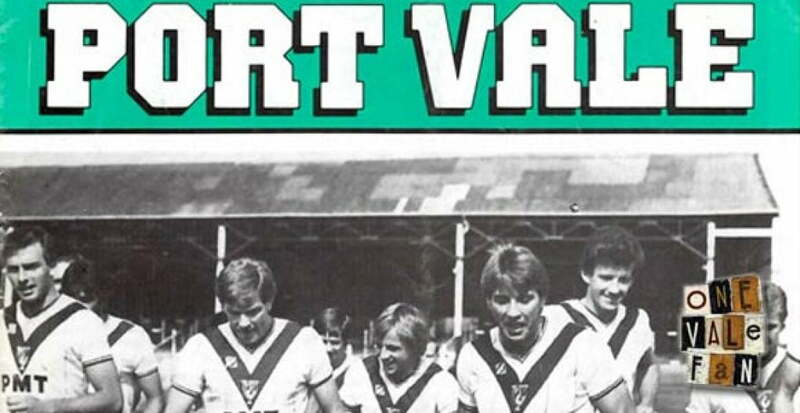 This programme design is similar to that of the previous season, with a green background replacing 1982’s yellow design. 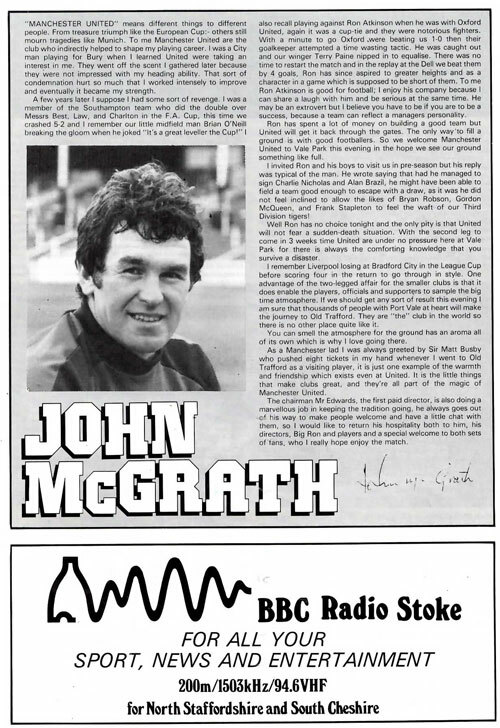 Unfortunately, this season was to prove memorable for all the wrong reasons as John McGrath’s newly-promoted team endured an awful first-half to their Division Three campaign. 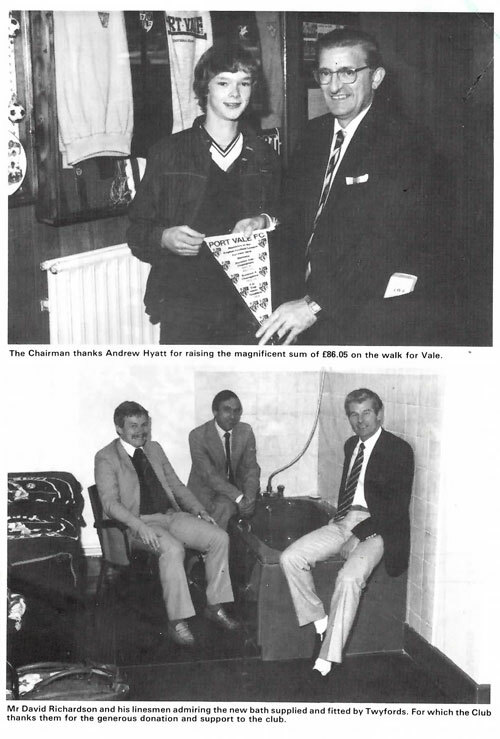 In the New Year, John Rudge was appointed McGrath’s successor and nearly pulled off the miracle of keeping Vale up, but the side were ultimately relegated back into Division Four after finishing in 23rd place. 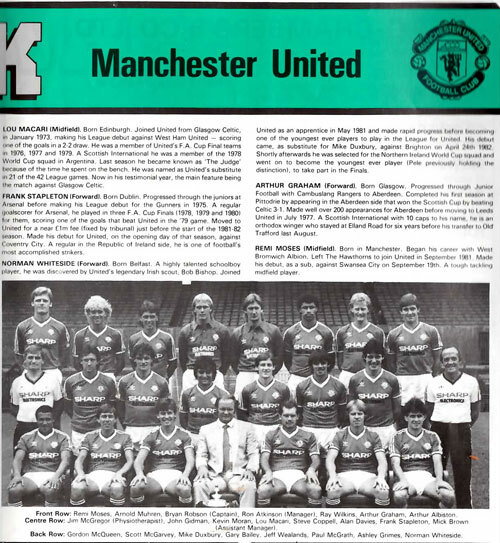 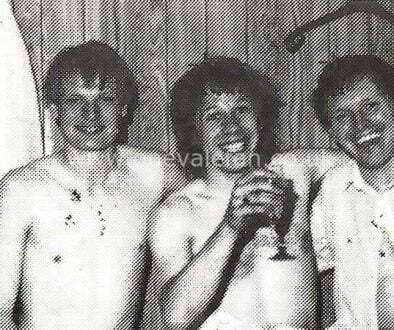 As for this match… it pitted Ron Atkinson’s big money Man Utd side against the Valiants in the League Cup. 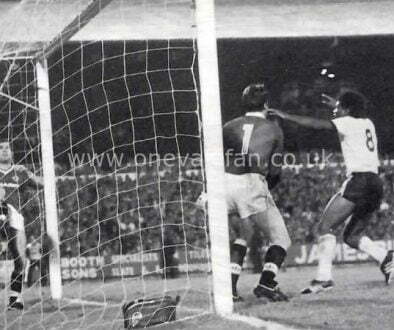 Vale lost this leg narrowly 0-1, but the second-leg at Old Trafford was more comprehensive with Man Utd winning 2-0 and therefore 3-0 on aggregate. 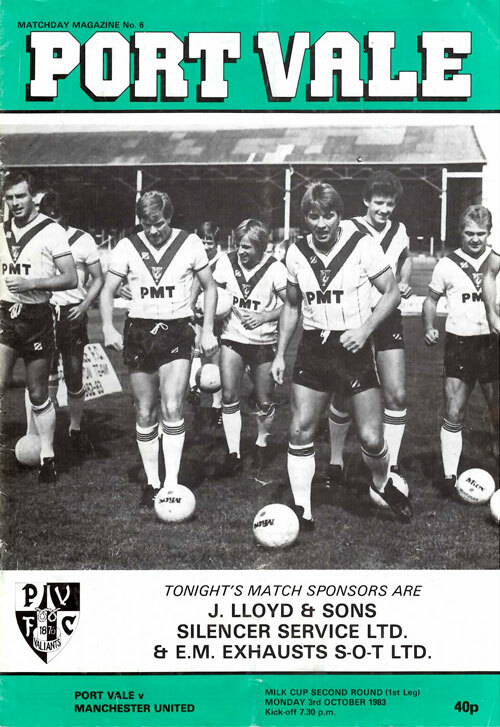 The home leg in Burslem saw a crowd of 19,855 – the highest crowd since the visit of West Ham United in 1973. 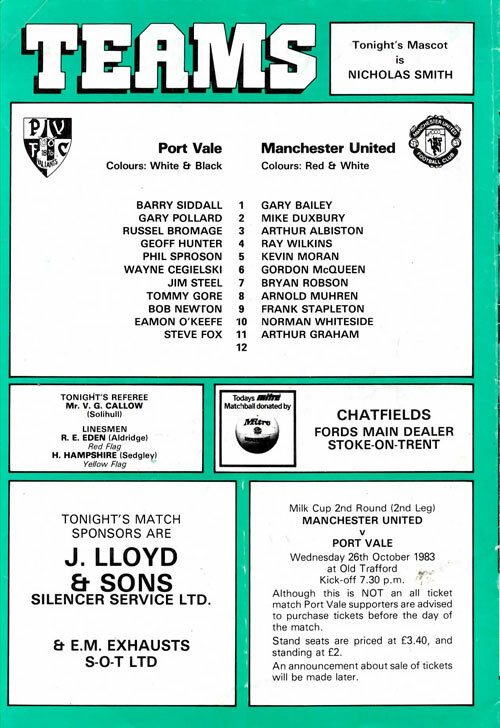 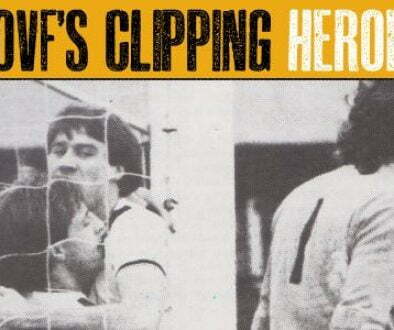 Editor’s note: I was at this game and for the big occasion, I was treated to a seat in the Railway stand!